...or any other health store you can imagine, really. 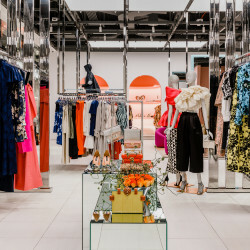 All 'Whole Paycheque' jokes aside, it bears repeating—there's no better way to blow through (or be tempted to) money that could be reserved for your baby's-first-CHANEL-bag fund (that's what everyone calls their emergency savings, right?) than a stroll through Whole Foods. Your pantry suddenly seems incomplete without rosewater-and-lavender granola bars. And it's totally rational that hundred dollar supplements will turn you into Karlie Kloss. 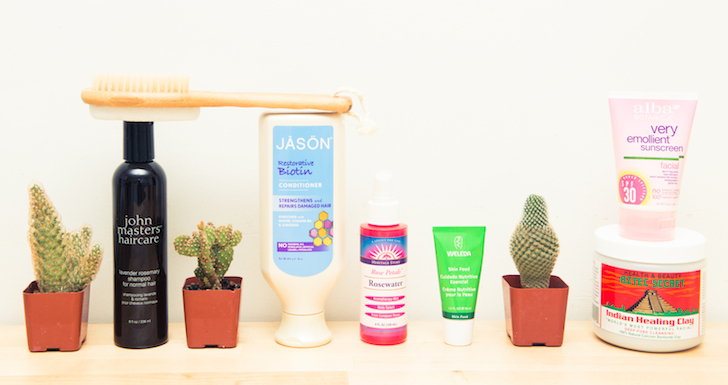 But the next time you're cruising the salad bar, consider the beauty aisle, too: there's more than just your weird aunt's rock crystal deodorant, we promise. Herein, some of the best beauty buys available at your local Whole Foods—and probably any other health store near you, too. While admittedly pricey, this is a truly universal shampoo—potentially the first one we've come across—making it good for adult sleepovers, if you're into that sort of thing. 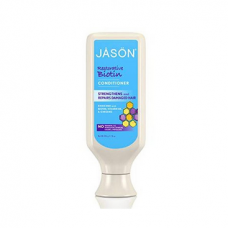 It's formulated with lavender to normalize the scalp, rosemary for shine and hair growth and soy protein to boost the appearance of thicker, swingier hair. That, and the fragrance rivals a Le Labo counter, while that dark chocolate-hued bottle will add a little gloss to even the dingiest of bathrooms. There's a reason why biotin is at the top of virtually every list of hair growth supplements (including ours, recommended straight from both the Kardashians' and Gisele Bundchen's hairstylists, to really solidify that endorsement). And while logically, this ultimately gets washed down the drain, a little extra boost of Miracle Gro can't hurt, right? 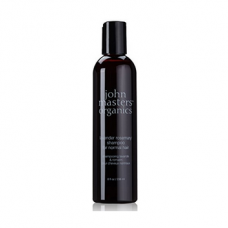 It's also made with jojoba seed oil for silky Disney Princess hair and ginseng to ease the appearance of split ends. 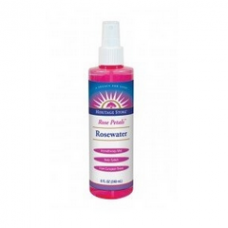 This OG rosewater mist has popped up in the bathrooms of countless Cov-alums for a reason. From it's rich fuchsia bottle, its near-instant hydrating and refreshing effect, to the fact that it quite literally smells like fresh cut roses without veering into nursing home territory. 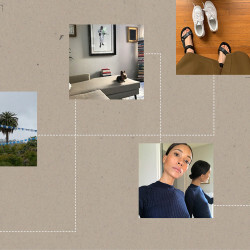 Oh, and it's budget-friendly and lasts forever. Use it after cleansing and before moisturizer or serums or over freshly applied or day-old make-up—any time, actually—for prettier, dewier skin. We're suckers for anything that's one part old world mysticism, one part science experiment. 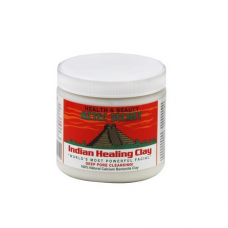 Enter this stuff, with it's enormous heavy tub and powder formula, which you can mix in with water or diluted apple cider vinegar for a blackhead-busting, acne-clearing clay face mask. Oh, and it reduces the appearance of pores, too. Just follow up with an especially hydrating serum (or some of that rosewater spray), as the clay can dry you out. Non-streaky, non-white-cast-inducing facial sunscreens (the jury's still out on whether the emphasis on facial here is marketing) are few and far between. 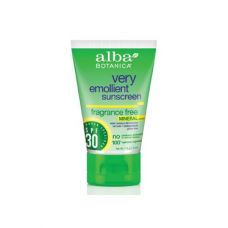 Alba Botanica's, though, serves as the perfect base for makeup and even doubles as a moisturizer in a pinch. Plus it gives serious glow and sheen to the skin without feeling too heavy or greasy. 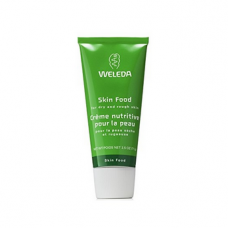 It's admittedly difficult to go all that wrong with Weleda—we're suckers for their Wild Rose, Pomegranate and Almond line-ups—and Skin Food is a cult favorite that serves as an ideal introduction to the brand. It's the perfect thick, sticky balm consistency for lips, elbows and other dry patches, and can even be applied (sparingly) to the face during long haul flights, too-long winters or finicky skin times. While the scent is an acquired taste (some say almond, some online reviews say "stale airplane air"), the name is apt in that skin drinks this right up. Oh, and the ingredients are allegedly edible. Just in case, y'know?